Games : Homerun Clash Is Now On Obt (Open Beta Test) For The Philippines! 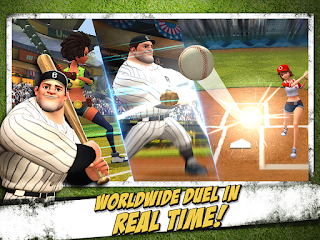 Homerun Clash, a casual but intense home run derby mobile game is on the Open Beta Test in the Philippines. The newly established but filled with experienced game developers, Haegin will bring the most EXCITING experience only to the Philippines. For the limited time, Homerun Clash is open for Open Beta Test from September 12th to September 17th, 2018. The Homerun Clash festive competition is held for the top of the homerun slugger in the world. Various players from different background gathered in one place to win trophies and massive rewards. The son of the legendary clean-up hitter Babe Lawson, a hip-hop musician with dynamic moves and powerful batting, a gentlemanlike agent slugger in a fancy suit. There is more than that! Let’s be a homerun king with a variety of cool characters. It is a simple and quick-fire mobile game. Fun to play! 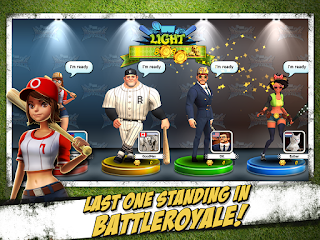 - Fight to other batters around the world for a homerun king. Get the winner’s trophy and check world ranking out. - Weekly league ranking updates! As you go up to higher league, you can get more tremendous rewards. - 1 vs 1 match: Be a winner by 1 vs 1 match! Easy and but fine play in a fast-paced! - 4 battle royal: Last one standing wins! A winner takes all! - Plan strategies to win. Obstruct your opponent’s batting to hit the item of obstacle on stadium. - Play a tight defense for tennis ball, ninja ball or ping-pong ball! Utilize strategic skills to improve hit power and debuff an attack from enemy. - Earn chests from victories as well as free chests! 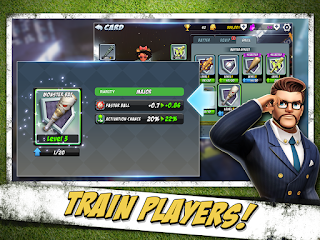 - Unlock and collect playable BATTER cards to strengthen! You can make on your own batter deck constructing EQUIP and SKILL CARDS into BATTER cards. - Come to see intriguing stories of batters. The son of the legendary hitter Babe Lawson, a hip-hop producer and secrete agent etc. - Make appealing characters dress up with costume items. Not only for a good looking but powerful status! - There are various theme and concept of stadiums from the stadium at the night bazar in the city to the harmonized stadium with a natural waterfall. - Diverse length of the outfield and different fence height and layout. Enjoy spectacle size of homerun derby stadium! 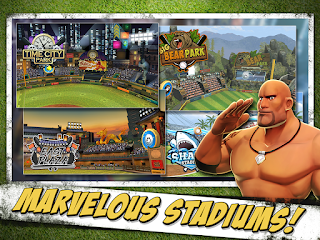 - Homerun Clash is FREE TO PLAY. - The Open Beta Test period: 9/12/2018 9/17/2018 . - To ensure participants flawless play, Homerun Clash provides in-game money ($5 worth) to every participant DAILY. 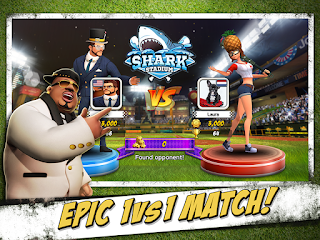 - Homerun Clash provides EXCLUSIVE rewards to the Open Beta Test participants! For more information, please check the in-game 'NOTICE'. 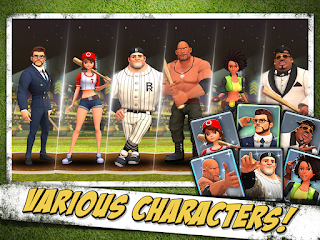 If you're a baseball fan, this Android game is definitely for you! You can also play this together with your friends to enjoy your free time. HAEGIN Corp. develops games. The company was founded in 2017 and is based in Seoul, South Korea. Haegin CEO Youngil Lee, the Co-founder of COM2US, the first mobile game company in South Korea and a massively succeeded in game industry worldwide, gets started with a new mobile game developer. The name of company, HAEGIN as a pure Korean word means 'live happily ever after'. Likewise, he wanted to make company on a belief, good company goes with good company happily ever after.